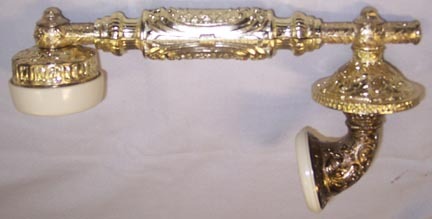 Fancy brass-plated French handset - hardwired. No elements. 12 available.